American society has its nomads. This is not something we readily recognize, or acknowledge, but they live all around us. They are the homeless. They are the under-employed, who move from region to region looking for work. They are the 8 million truck drivers spending most of their days on long open lonely roads. Some of them are the criminal, or the rejected. Some still ride trains, and still hitchhike. Others are the divorced, whose lives have been fractured by betrayal, self-indulgence, or roving passions; and whose rootedness has been devastated by loss of any place, any person, or any thing, which feels like home. They are the traveling professionals who spend more time away than at home. They are the undocumented workers who are hidden in the bushes of Southern California, or the over-stuffed apartments of your city. They are the middle aged men spending the next ten years working at Seven-Eleven before returning home to their families in Pakistan with money to retire. Some of these are the unfortunate, and some of them have chosen the lifestyle of a nomad. In fact, there are people whose passion for the nomadic keeps the moss off their always rolling stones. These purposeful nomads are the checked out of society post-hippies of postmodernity traveling from Rainbow Gathering to Rainbow Gathering, or making a living from Renaissance Fair to Renaissance Faire. Their critique of the corruption of capitalistic America is not inaccurate. They are musicians, and roadies who ran away and joined the circus a long time ago. They are the travelers, who for generations have remained in the nomadic patterns of their Roma tradition. As many people as we might be able to identify, who are living some kind of nomadic lifestyle for either positive or unfortunate circumstances, we could find an equal number of people who internally desire the nomadic life. We are those who passionately desire to travel, and cannot get enough of the world. We have restless hearts, and cannot find a home on this earth – other than the people we meet, and the adventures we fall into. The problem with Western nomadism is that it is seldom the community nomadism of traditional nomadic societies. It is most often a solitary non-traditional nomadism. American culture is built around ownership, and the American dream is ultimately expressed in the ownership of house and land, white picket fences, and two cars in the garage. When catastrophe strikes, the developing nomadism of the tragic years are memorialized by writers like Steinbeck in his Grapes of Wrath. Only occasionally, the non-traditional beat poet like Kerouac tells us something romantic, but still dark about life On the Road, or travel guides lure us away to beautiful distant places, but once we return to job, and home we are pressured toward the static American Dream. This tension to commodify settledness and place appears to mock the sense of the holiness of place. and this ultimate expression of the American Dream manifests itself in our church life as well. Few churches understand how to include the nomad into their extended family. In fact, the inclusion of the nomad is typically relegated to “parachurch ministries.” Homeless ministries with food pantries, shelters, and daily meals provide a place for the financially struggling nomad to discover a temporary home. Those ministries which do this well create a temporary family for the isolated. There are some wonderful examples of people who have shown us how to creatively address the patterns of this more solitary nomadism within Western culture. Truck Stop Ministries is setting up small chapels at truck stops around the US. I have traveled with people who have been providing food and spiritual counsel in Rainbow Gatherings for over 20 years, and have formed little traveling Jesus Tribes as part of their efforts to be that nomadic home. My friend Joshua Hanson is one of those people, and he has established a discipleship community in Alabama called Nomad’s Land. The famous Christian blogger (former blogger? returned blogger?) Tall Skinny Kiwi, Andrew Jones has been traveling with his large family and working among nomadic peoples for years. Even as I write he is in a remote hippie community in Croatia. YWAM is an organization, which understands the necessity of being part of the temporary events of our culture, and providing Christian community in the midst of those events. The last two years, a YWAM team from Maine has joined our October efforts to provide a home away from home in downtown Salem in the midst of a million traveling people, who are searching for something interesting – often something deeper. Church typically is not prepared to create a place of blessing and temporary home for the nomads. Consequently, we do not view temporary expressions of faith in festival and event settings as “church.” Thus they are “parachurch” – something other than church, as though the God Who tells us that this world is not our home has no place for the nomad. On the contrary, it seems to me that Jesus lived the nomad, as the “Son of Man [who had] no place to lay his head.” If we will ever be able to present the Nomad God to the nomad hearts of surrounding cultures, this thinking will need to change. 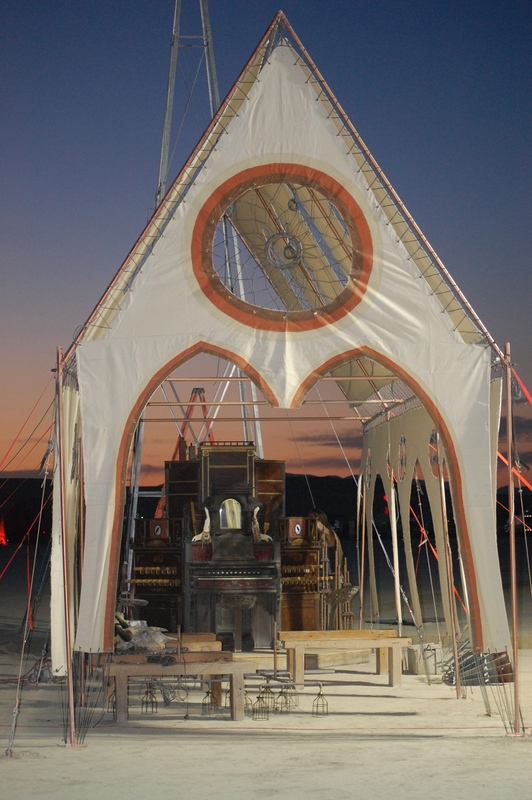 The half a dozen teams who return to Burning Man each year with their expressions of faith are planting temporary churches for a week, and if they understand the power of their presence properly, they will see the same people return excitedly each year. This is my experience at Burning Man. 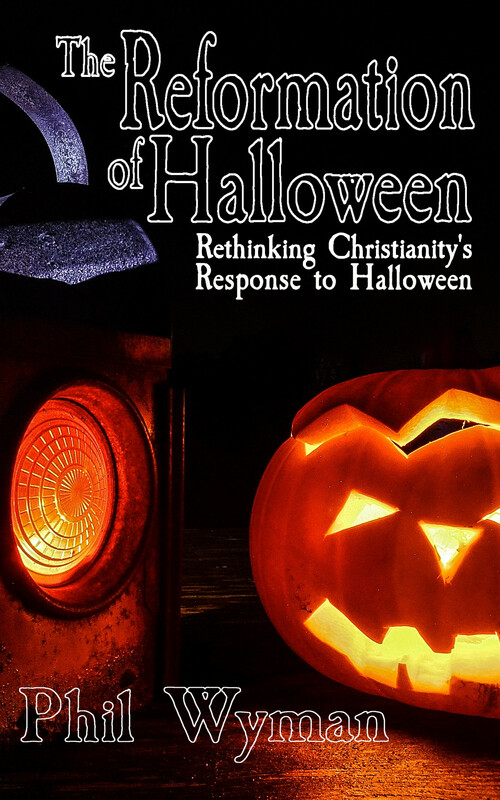 This is my experience at Pagan Festivals, This is my experience in Salem each October. And this is why I am convinced that we need to be in these places. Every time we return to the festivals of this world, and people remember and return to hang out with us, we have become “church” for them for that week, and the Nomad God makes His presence known among us. This year we take our Nomad God Vision to festivals in the UK. Help us plant these temporary churches, which will pop up each year in the places of need. You can connect with our our News Letter, and donate at SalemGathering.org.